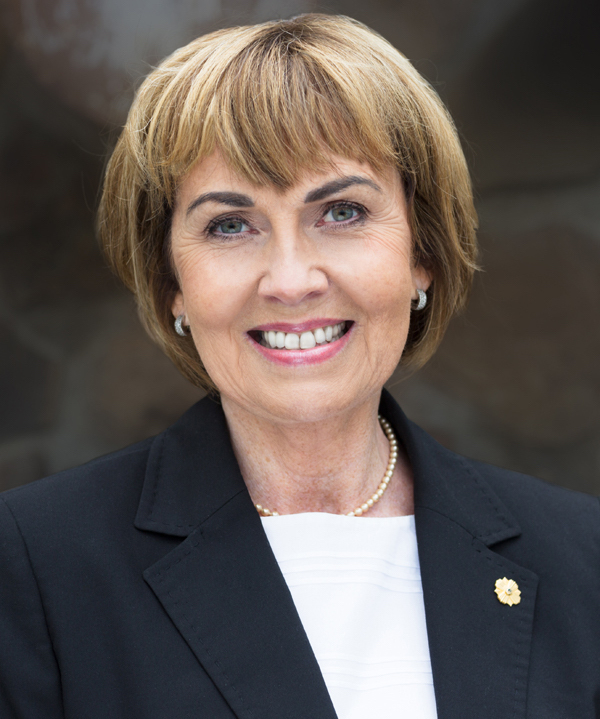 Gudrun Yngvadottir, from Gardabaer, Iceland, was elected to serve as international president of Lions Clubs International at the association’s 101st International Convention, held in Las Vegas, Nevada, USA, June 29 through July 3, 2018. International President Yngvadottir is a biomedical scientist and has worked in research, education and management. Since 1990 she has worked at the University of Iceland as Vice Director at the Institute of Continuing Education. A member of the Gardabaejar Eik Lions Club since 1992, President Yngvadottir has held many offices within the association, including district governor council chairperson. She has dedicated her service to children and youth, membership and leadership development, health and wellness, including vision and diabetes, environmental projects and Lions Clubs International Foundation (LCIF). President Yngvadottir served as international director 2010-2012 on the Leadership Committee, as chairperson the second year; 2011-2013 on the Women’s Task Force; 2012-2013 she was a board appointee on the District and Club Service Committee; and 2013-2014 on LCIF Governance Ad Hoc Committee. In recognition of her service, she has received numerous awards including the Kjarans Medal, the highest award of Icelandic Lions; the Lions Crystal, the highest award of Norwegian Lions; several Membership and Extension Awards; eleven International President’s Awards; and the Ambassador of Good Will Award, the highest Lions Clubs International award. She is also a Progressive Melvin Jones Fellow. In addition to her Lions activities, President Yngvadottir is active in numerous professional and community organizations, including the Icelandic Association of Biomedical Scientists and has been its representative for cooperation between Scandinavian and European scientists. President Yngvadottir and her husband, Dr. Jon Bjarni Thorsteinsson, a past international director and a Progressive Melvin Jones Fellow, have one son, one daughter and six grandchildren. THE PET VALU WALK FOR DOG GUIDES will be held on May 26th, 2019 at Kildonan Park for the Lions Foundation of Canada Dog Guides. Please go online and check out how you can donate or help out at this years walk. For more info contact Lion Dave Hollyoake, LFC Director, Manitoba, N W Ontario & Nunavut. See his contact info on the other web page. THANK YOU FOR YOUR DONATIONS TO THIS VERY WORTH WHILE CAUSE. Lions Glendale Court at 3590 Portage Avenue is full. A waiting list is available. 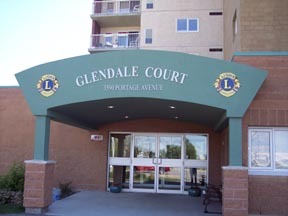 Contact Glendale Court 204-885-3590 for more information on how to get on the list of this great 55 Plus Life Lease complex. Watch for more details on other upcoming events. If your interested in learning more about Lions and what they do, call any one of us, we would be please to answer any of your questions and arrange to have you attend one of our meetings, there is no cost involved in this visit. The membership cost per year is only $100.00 and we also have family memberships available with reduced rates, That is only $1.93 per week. You can also visit the Lions Web site http://www.lionsclubs.org/EN/index.php or the district web site at http://www.e-district.org/sites/5m11/index.php Also see the other links on this web site for more information about Lions Clubs international.